The other afternoon I was reading through Jerusalem, looking for dinner, when I saw the picture of those three soups down there. Yum! I thought. That one in the upper righthand corner looks delicious. I conferred with Alex, and he agreed. 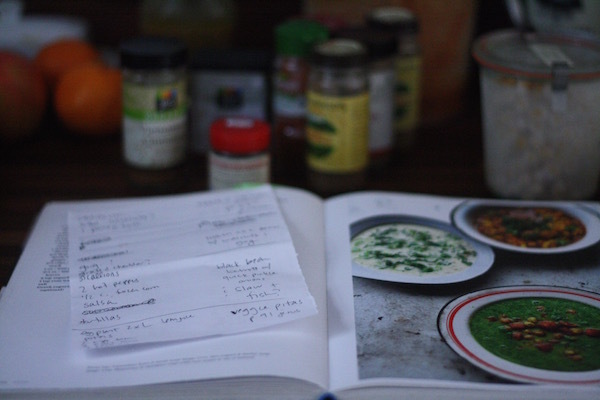 I then proceeded not to read the captions that went with the photos, but to decide which recipe went with which photo based on intuition alone. Alex got a migraine, the kids got cranky and went to bed, and I ended up eating the soup in the bottom right corner, the gross looking one that is bright green, alone. You might think I would have noticed a small color issue with my ingredients, but, you know, eh! Orange, green, they're all the same. To be fair, the recipe did start me off on an orange note. We were firmly in ruddy-colored territory: mixing cumin and cayenne and cinnamon and a bunch of other earth-toned spices and tossing them with diced carrots and cooked chickpeas. But it turned out that was just the topping; the soup itself called for onions and spinach and watercress, most of which I had none of. I did not let this deter me. Instead I used cilantro and parsley and kale, and things turned out just fine. In fact, they turned out better than fine, and much better than I thought they were going to. I was feeling pretty sorry for myself. I had no one to eat with, and after an hour of cooking and washing dishes, instead of sitting down to a cheery orange chickpea stew, I was staring at a thick bowl of steaming green puree. I spooned on some roasted chickpeas and carrots, as instructed, and a dollop of Greek yogurt, and resigned myself to a Bad Dinner. I'm not sure what to do here about the original ingredients versus what I used, so I'll offer both. 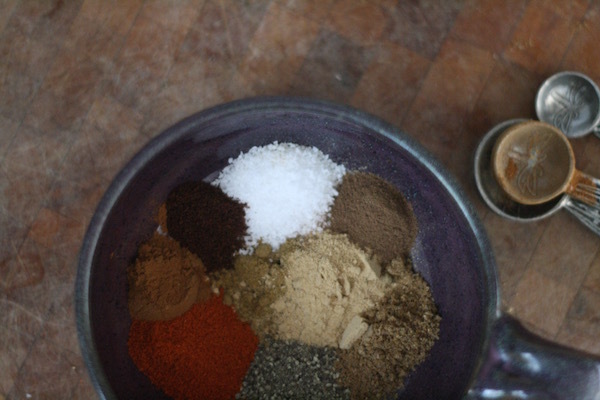 If you're wondering, as I was, about ras el hanout—it turns out to be a spice mix. I didn't have any on hand but it comes together easily if you have even a fairly basic spice pantry. I used this recipe from Epicurious. 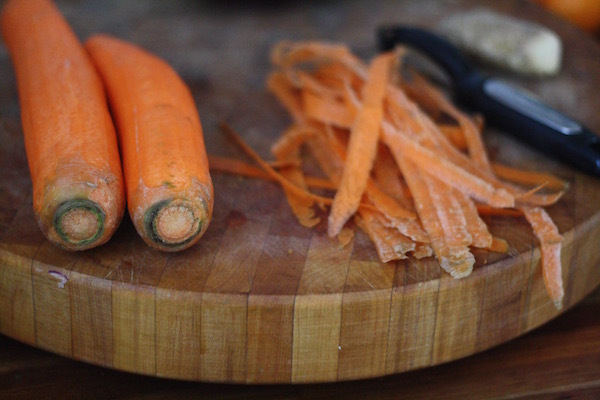 Preheat the oven to 425 degrees F. Mix the carrots with 1 tablespoon of the olive oil, the ras el hanout, and a big pinch of salt. Toss well on a baking sheet and roast for 15 minutes. 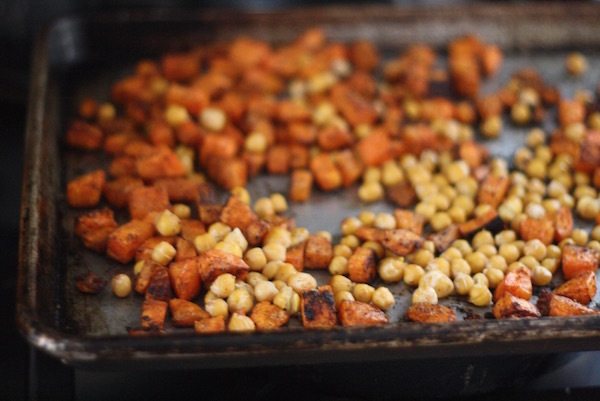 Add half the chickpeas, stir well, and continue roasting for another 10 minutes, or until the carrots are just tender. Meanwhile, make the soup. Warm up the remaining olive oil in a large pot over medium heat and add the onion and ginger. Cook for about 10 minutes, stirring often, until the onion is completely soft. Add the remaining chickpeas, the stock, the greens, the sugar, and 3/4 teaspoon salt, stir well, and bring to a boil. Cook until the greens wilt (obviously, kale takes a bit longer than watercress, but somewhere between 2 and 10 minutes should do). Use an immersion blender to puree the soup until smooth. Taste for salt. 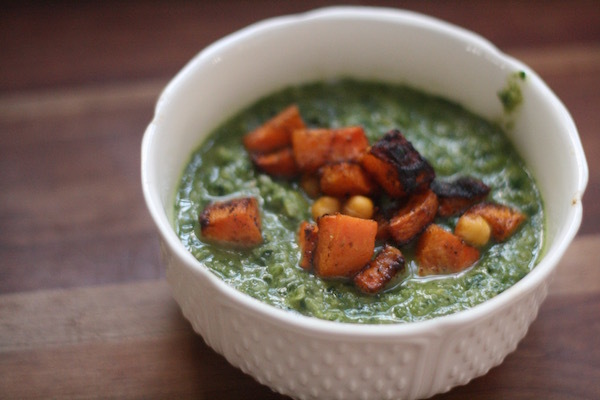 To serve, ladle the green soup into bowls and top with the hot carrots and chickpeas and a dollop of Greek yogurt. Testimonials of Rock and Roll Daycare School from teachers and parents of Rock and Roll Montessori School in Cambridge, Boston, Somerville. Call us now for more information!